It is our pleasure to present ISPOR News Across Asia April issue. This issue features health policy updates on “Development of ‘Separate Assessment Track for Innovative Health Technology’ in South Korea” and “A Rapid Assessment of Challenges and Missed Opportunities in Philippine Health Care,” as well as fresh HEOR news from around the region. We also give you important information on ISPOR events and activities relating to Asia Pacific and beyond. We hope you enjoy this issue and warmly invite you to learn more about how ISPOR and ISPOR Asia Consortium are working to improve health care decision making in Asia Pacific and globally. On March 15, 2019, the Ministry of Health and Welfare (MoHW) promulgated the revision of the “new Health Technology Assessment (nHTA) Rules” which contains the contents of the ‘Separate Assessment Track for Innovative Health Technology’ and ‘Reduction on the period of nHTA’ and entered enforcement. The MoHW has amended these rules to support early market entry of innovative health technologies with high potentials. In addition, the nHTA process will be streamlined to shorten the assessment period from 280 days to 250 days (1). In July 2018, the MoHW announced “Innovation of medical devices regulation and the industry promotion plan” that directs innovative medical technologies combined with advanced technologies, such as artificial intelligence (AI), 3D printing, robots, and others into a separate assessment track rather than the conventional nHTA route. The MoHW has been running a pilot program, namely ‘Separate Assessment Track for Innovative Health Technology’ since September last year (September 2018 ~ January 2019) (2,3). Previously the health technologies lacking research results to evaluate the safety and efficacy were not included in the subject of nHTA and failed to enter the market. However, it is now possible to evaluate the potential of new health technology as well as its safety and efficacy. The opportunity to utilize advanced technologies (described above) or health technologies for treatment of serious diseases in medical practices will be expanded. The “assessment of potential value” refers to a comprehensive evaluation of innovativeness and social needs of health technologies. The ‘Separate Assessment Track for Innovative Health Technology’ will lead to the evaluation of the potential value of the new health technologies along with the current literature reviews. If a new health technology which has failed through the nHTA route due to the lack of supporting literature despite the high potential efficacy, such as dramatically improving patient’s quality of life or reducing the patient’s financial burden, it is allowed to enter the market early. However, even in the case of innovative health technology, rigorous safety verification is conducted through the literature review on health technologies which are associated with invasive medical practices. Innovative health technologies entering the market through the ‘Separate Assessment Track for Innovative Health Technology’ shall be reevaluated after 3~5 years based on the results used in the medical practice. To this end, medical device manufacturers and others that have developed innovative health technologies shall submit information and evidence including usage results from medical institutions and healthcare professionals and the data collected for the reevaluation to the National Evidence-based Healthcare Collaborating Agency (NECA). Subject of assessment All new health technologies New health technologies combined with cutting-edge technologies (e.g., 3D printing, AI, robot, etc.) and high social value promoting patient satisfaction, etc. Assessment item Safety and efficacy Safety and efficacy + patient’s physical burden, patient’s economic burden, technology innovation, possibility of abuse, presence of alternative technology, etc. Technical attribute Customized health technology Is this health technology expected to improve health outcomes by providing customized diagnostics and treatment solutions tailored to individual patient situations? Social attribute Diseases with high social needs Does this health technology target catastrophic diseases including cancer, cardiovascular, cerebrovascular, and rare incurable diseases? Absence of alternative technology For those that do not have gold standard (comparative) treatment or precedent therapy, is this health technology recommended by clinical guidelines as an alternative to the indications for use? Medical attribute Patient-centered technology Is this health technology expected to improve patient satisfaction by increasing acceptance of disease management through reduction of patient’s discomfort, such as a decrease in invasiveness during testing/ treatment and shortening of procedure time? Health outcome improvement Is this health technology expected to improve the quality of medical care and health outcomes, such as diagnostic accuracy, procedure success rate, and reduced errors? Ministry of Health and Welfare (MoHW). Notice 2019-40. The revisions on the procedures and methods of new Health Technology Assessment (nHTA). March 18, 2019. http://www.mohw.go.kr/react/jb/sjb0406vw.jsp. Ministry of Health and Welfare (MoHW). Innovative health technologies such as artificial intelligence (AI), 3D printing, and robots, etc. can enter the market early. March 14, 2019. http://www.mohw.go.kr/react/al/sal0301vw.jsp?PAR_MENU_ID=04&MENU_ID=0403&page=2&CONT_SEQ=348088. Ministry of Health and Welfare (MoHW). Notice 2019-41. Regulations on assessment and implementation of innovative health technologies. March 18, 2019. http://www.mohw.go.kr/react/jb/sjb0406vw.jsp. In the Philippines, people are talking about universal health care (UHC), which is the “hot topic” at the moment considering a revised UHC law was signed in February 2019 (1,2). But how will this work in the backdrop of challenges facing the health sector? Health care in the Philippines can be described as fragmented, in the sense that a dichotomy of private and public sector service delivery exists, financial cover differs vastly with large out of pocket expenditures, and a skewed human health resource mal-distribution, not to mention the extremely difficult alignment between national and local government health systems. In this new UHC law, health technology assessment (HTA) will play a crucial part; in fact, a provision in this law calls for the creation of the HTA Council to provide guidance in recommending cost-effective interventions. In the current scheme of payments, the national health insurance seems to be coming up far short in providing comprehensive financial risk protection. It appears that according to the new scheme, the national health insurance pays a fixed price for a condition, which will likely leave a significant balance to be paid out of pocket by the patient in many cases. For the Philippine health sector, the aspiration for UHC did not happen overnight. It began with late Secretary of Health, Dr. Quasi Romualdez, who in 1999 first introduced the concept and the implementation of the health sector reform agenda (HSRA), which emanated from the Asian Development Bank. During his term as Secretary of Health, Dr. Romualdez brought together a group of health reformists, this author included, to create a broad strategy for HSRA. We met in Baguio City one weekend and came back with an ambitious plan to implement HSRA within the Department of Health (DOH). It was a bold move and quite challenging at that time. HSRA would later evolve into health systems strengthening (HSS). In 2007, the WHO introduced the six building blocks for HSS, namely health governance, human resource for health, health care delivery, access to health technology and products, health financing, and information communications technology in health. The call was made to integrate these six basic pillars to shape a more functional health sector, with the assumption that they each require equitable investment in order to be successful. Regrettably, this was not fully implemented. Successive secretaries of health, despite their good intentions, may not have appreciated the complex interplay of the six pillars and did not manage to integrate these important building blocks into a foundation for strengthening health systems. This was further compounded by the notion that improving the health financing track would automatically cause everything else to fall into place. While not entirely wrong, the actual financing was never enough to establish the strategies and infrastructure of the other five building blocks. Some development institutions advocated to improve financing as the key to drive all health performance and shape outcomes. In theory, it makes good sense, but in practice and in hindsight, this did not happen quite as expected. The reasons are anchored in the wrong and theoretical assumption that the other five building blocks would behave according to the laws of economics. But the health system is deeply complex and rooted in how leadership and governance function. This is where institutional reforms are necessary and can no longer wait. As I see it, there are three missing elements in the new UHC law. Let us call these the three Vs. These three Vs need to be handled in a cohesive fashion by more experienced and enlightened leadership. We only venture this recommendation to alert leaders that they need to view these three Vs with prudence and calculation; these cannot be undertaken by academic and theoretical public health experts or clinicians who do not understand systems thinking or management. For UHC to work, it requires a Shared Vision. If there is one, it is not being clearly articulated. Various stakeholders view UHC with their personal and individual expectations. Legislators see part of the whole picture; their version of UHC will necessarily offer piecemeal solutions to superficially surfaced health systems problems. But problems have root causes and solving one problem might have unintended consequences on other sectors of the health system. Does the community or society understand the concept of solidarity and risk pooling in health insurance and how their premium contributions and judicious use of health services might deny others more in need of medical interventions? Do they understand the concept of equity in the context of health? Does society and the public appreciate that UHC is not able to satisfy personal desires and that rational allocation of resources must be based on evidence objectively? Without the clarity of an articulated shared vision, the implementing rules and regulations that will be drafted to accompany the law might not have the holistic and cohesive solutions for a successful implementation. The second V is Value Chain. All the six building blocks for health systems strengthening have interconnected lines. One cannot move one block without affecting the other block. The outputs of one block are the inputs for another block. The leadership has to begin understanding and then integrating these six building blocks into a value chain, which links national to local system, public to private system, preventive care to curative care system. The practical question is how can UHC be implemented equitably if the fundamentals of the health systems are not first strengthened? The last V are Values of health care professionals. The value system of health care workers must be examined and if necessary, reformed and changed. If the current dichotomy between private and public health services continues, I fear that UHC will not be effectively implemented, particularly considering the call for uniform compensation for delivered health services. Should general practitioners (GPs)/community health gatekeepers who work to mitigate over-utilization of hospital services be compensated as much as hospital specialists, or should the specialists be paid more (as is the case at the moment)? Will GP/gatekeepers be able to appreciate what is capitation and how to manage this fund to attain equitable service for the community under the GP’s care? Perhaps we should ask more fundamental questions. Is health care a commodity trade that follows the principles of economics for other traded goods? Or is health care a public good and a common good? What has to change in order to deliver a fair and equitable UHC in the Philippines? As resources will never be at an ideal level, doctors might want to reflect on their values as a health service provider. Do patients come ahead of financial incentives? I would contend that we have created far too many specialists and they are not necessarily distributed evenly across the country. While professional organizations say they regulate specialties, what they in fact mean is that they regulate the training and quality of competence. Nothing in these private organizations’ responsibilities guarantee an alignment with the national UHC aspiration to ensure that doctors are spread across the nation based on need. One of the challenges that surfaced is that there is no existing government mechanism that differentiates who is a GP/community doctor/gatekeeper and who is a specialist. Unless this basic process exists, UHC might not be effectively carried out. Recently, medical specialists have been clamoring to also be gatekeepers. Imagine the following scenario: a cardiologist acting as a gatekeeper detects arrhythmia necessitating specialized care; in this case, can the acting gatekeeper cardiologist refer the patient to himself/herself for specialized care? It is my observation that much of the planned health system reform seems to be supplier driven, rather than demand driven. Demand here means taking the perspective of the patient who is after all, the market or the client of health services. So let us start the crafting of the system based on the journey of the patient, as shared with us in patient group consultations. They want to have health facilities near their residence. They want such facilities to be quality assured, meaning that the basic services need to be at least complete including laboratory and access to medicines. (At the moment, there is no such quality assurance from DOH or the national health insurance agency; patients must go from health center to lab to pharmacy.) It would be good for services to be affordable, with transparent pricing, in case the UHC does not cover the entire medical bill. It was voiced by patients that facilities, both public and private, do not take into consideration the ease for the elderly and the non-ambulant. I would argue that patients further hope that, if ever needed, the referral from a clinic to a hospital be done seamlessly which involves transfer or sharing of patient charts/records. Lastly, when the hospital interventions are over, patients hope that the hospital return can them to the care of their primary doctor (GP or gatekeeper). Interestingly, the patient groups suggested that the government first focus on values and shared vision, with an imperative to clarify community spirit (Bayanihan), solidarity, equity, and care for neighbors (Malasakit). The second value requested is that government ensures that private health care facilities and public sector facilities not compete against each other but rather complement each other; the same goes for private medical practitioners and government health care workers. Lastly, the group requests that the government, when drafting the IRR, think about patient service and satisfaction anchored on the patient journey when seeking health care. Because the UHC and medical interventions are so complex, there is a need to create a new interlocutor, the patient navigator, just to help community patients know how to utilize the UHC systems. Patient groups are quite knowledgeable. They raised the need for UHC law to actualize its intended delivery but also to align with many other recently-passed health-related laws such as Cancer Law, Orphan Disease Law, Mental Health Law and HIV Law. How should the national health insurance integrate all these unfunded laws and include these within UHC promises? I strongly recommend the Department of Health (DOH) to start a conversation by explaining and demonstrating the model on how they see UHC to be carried out, taking the perspective of the patient as the entry point, and then allowing stakeholders to comment on the practicalities and applicability instead of crowdsourcing for “How to Do It” suggestions from the health suppliers and providers. Even before all this, the DOH should make every effort to strengthen the fundamentals of the health system prior to attempting this ambitious reform. ISPOR Asia Consortium recently hosted a webinar titled “Using RWE to Improve Healthcare Decision-making in Asia Pacific” on March 25, 2019, featuring presentations from Bruce Crawford, MA, MPH, Vice President, Real World Evidence & Insights, Syneos Health, Tokyo, Japan and Xin Sun, PhD, Professor and Director, Chinese Evidence-Based Medicine Center, West China Hospital Sichuan University, Chengdu, China that updated on the current situation of RWE in Japan and China shared case studies of use of RWE in key studies to improve outcomes. Additionally, Bruce updated on the recent HTA development in Japan. The recorded presentation may be viewed here. ISPOR will organizing a 3-day HTA Training in Beijing, China on October 22-24, 2019. The training will be held in proximity to the 2nd China National HTA Conference in Beijing on 26-27 October, 2019, which will attract over 1,000 policymakers, academicians and industry to discuss the latest HTA developments in China. The HTA Training in China will be taught by a world-renown faculty of experts and will cover the core aspects of methodology including economic evaluation, combining clinical evidence, literature review and budget impact, and there will be ample hands-on exercises. For more information on the core curriculum, visit here. The training will be open to global registrants, and there will be Chinese-English interpretation for the duration. In addition to the training, there will be an invitation-only HTA roundtable and patient roundtable on 25 October 2019. For more information, contact asiaconsortium@ispor.org. After 3 years of piloting HTA in the country, Japan implemented the program at the national level from April 1, 2019. The Chuikyo, or special committee on cost effectiveness in Japan, will assess the cost effectiveness of selected drugs and devices based on their classifications including newly listed as well as existing therapies. Therapies will be selected for CEA based on a list of criteria including their level of innovative contribution, premium margin above costs and projected or realized sales, with selections made 4 times a year. Special considerations and accommodations will be made for pediatric and orphan drugs, including omission from CEA requirements in some cases. Products selected for analysis will need to have their incremental cost effectiveness ratio (ICER) submitted which will be used to adjust the reimbursement price. A threshold of JPY 5 million cost per quality-adjusted life year (QALY) has been selected, and products that exceed that will be subjected to price reductions based on indicated ICER ranges. The total estimated timeframe for CEA analysis is at least 15 months, including 9 months for industry, 3-6 months for public analysis and 3 months for appraisal and pricing decisions. It is important to note that the scope of this program does not touch the coverage and access of health technologies to patients, but only the pricing and reimbursement question. The most recent CEA guidelines for Japan may be found here. The latest version of the Japanese PE guidelines may also be accessed here for reference. The new guidelines are anticipated to released in June 2019. ISPOR Australia Chapter organized an event on “Women in HEOR” on April 8, 2019 on 10AM-5PM at the Sydney Aerial Function Centre. The event provided an important platform for promoting diversity within the HEOR profession and included such keynote speakers as ISPOR President-Elect Nancy Devlin and Jo Coast from the University of Bristol. For more information, please visit the ISPOR Australia Chapter website. ISPOR Indonesia Chapter will be hosting a Special Forum that will be held in Jakarta on 24 August 2019. 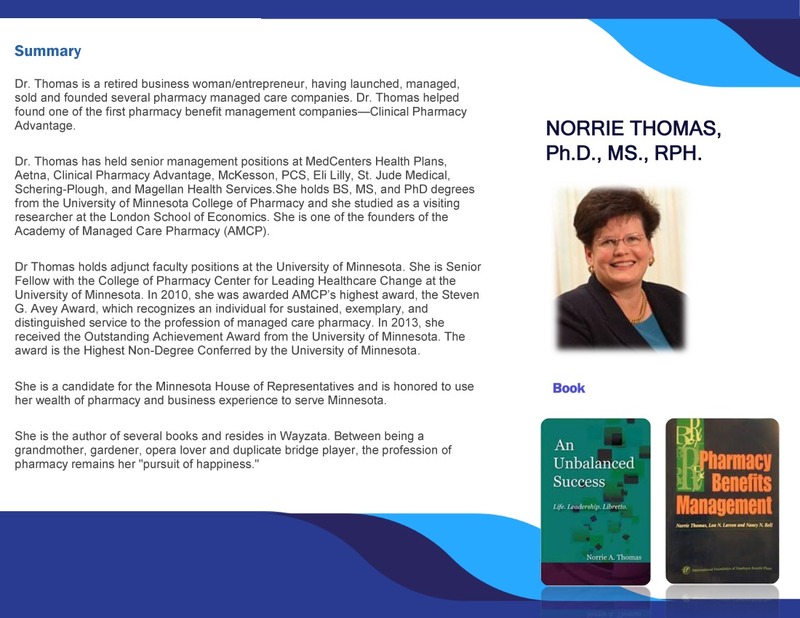 Information on the third Speaker, Dr. Norrie Thomas, can be found here. Additionally, ISPOR Indonesia Chapter President Professor Ahmad Fuad Afdhal met with H.E Dede Yusuf, Member of Parliament, Chairman of Commission IX, Health and Manpower, during a hearing with Parliament of Republic of Indonesia, on 11 March 2019 to discuss issues relating to health and policy. For more information and these and other initiatives, please visit ISPOR Indonesia Chapter website. ISPOR India – Mumbai President Dr. Amit Dang participated in an industry stakeholders’ meeting to discuss the progress of Health Technology Assessment (HTA) in India on 26 February 2019 at New Delhi, under the Chairmanship of Joint Secretary, Shri. V.K. Gauba, Department of Health Research. Dr. Dang was also invited as a speaker and panelist for a workshop on “Integrating Methods of Pharmaco-economics to Accelerate Transformation of Healthcare in India (IMPACT)” with the objective to sensitize stakeholders on the application of pharmacoeconomic principles in the decision-making process of health technologies to expand access to quality medicines. It was organised by the Translational Health Science and Technology Institute (THSTI) at India Habitat Centre, New Delhi on 12 March 2019. For more information, please visit the ISPOR India-Mumbai Chapter website. Dr. Subhash C. Mandal, President of ISPOR India West Bengal Chapter recently advocated to include Pharmacoeconomics and Outcomes research as one of the subjects in the course curriculum in an International Seminar on “Renovation of Pharmaceutical Education towards the need of the health care system” held on 27 January 2019 at Jakir Hossain Institute of Pharmacy, Murshidabad, West Bengal. Dr. Mandal made a presentation entitled “Pharmacoeconomics in Healthcare.” The seminar was attended by Pharmacists, doctors, policy makers, regulators, reporters and students. For more information, please visit ISPOR India – West Bengal Chapter website. ISPOR is pleased to announce a special ISPOR Regional Chapter Leadership Training Workshop to be held on Monday, May 20, 2019, 5:15-7:15 pm during ISPOR 2019 in New Orleans, LA, USA. The workshop is designed to strengthen participants skills in managing and leading ISPOR regional chapters. The theme of the training, “What Makes a Good Leader and Why it Matters?”, will be led by a professional leadership speaker Laura Freebairn-Smith, Partner at Organizational Performance Group. Currently, Laura teaches leadership at Yale’s Drama School, diversity and team building in the Executive MBA program at Yale’s School of Management. Prior to that, she served as Director of Yale’s Organizational Development and Learning Center, which she helped create. The training is by-invitation only and is open to ISPOR regional chapter leaders. Please RSVP to this special event at asiaconsortium@ispor.org by April 30, 2019. Join ISPOR Asia Consortium or renew your membership. Join ISPOR – to access our world class journals Value in Health, Value in Health Regional Issues and Value in Outcomes Spotlight, join global groups, participate in our special interest groups and task forces, get involved in leadership initiatives and stayed informed on HEOR news and trends, join the Society today! Early Registration deadline: April 9, 2018.